Yoga is not only for the flexible, far from it, it is for anyone who wants to experience the many physical and emotional benefits that the practice brings. Yoga has the ability to stretch and strengthen our body, improve our posture, enhance our breathing, calm our nervous system and, ultimately, bring us back into balance. My classes are always warm and welcoming and suitable for any level as I will supply modifications to suit the stage that you are at. With the studio designed to hold a maximum of six students you can be sure to receive the individual attention you need to flourish in your practice. A class typically includes a short meditative breath work cycle to ground us, then a strong active sequence to stretch and strengthen the body, and a final relaxation which enables us to absorb the benefits of the practice. We make good use of yoga props to aid us in achieving optimal alignment throughout and to help hold the body allowing it to release tension and open more fully. 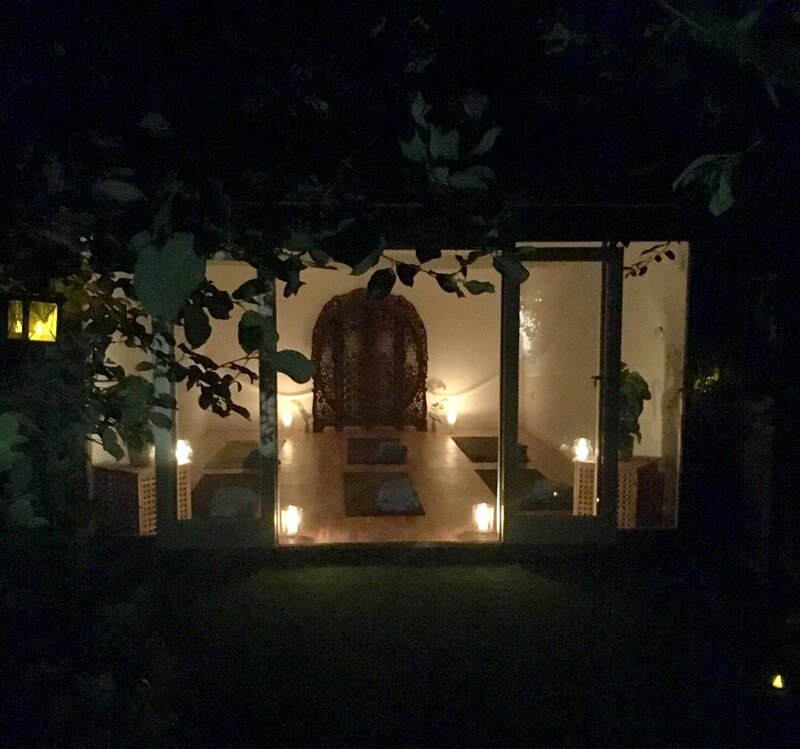 Working from the ground up, each week will build on stretching, strengthening and opening the body, before moving back down to the earth with seated postures and a deep relaxation sequence which will have you ready for a wonderful night's sleep, and a calm and centered week ahead. For those who like a bright start to the morning, we will move through gentle stretches to wake up the body, a dynamic sequence and strong standing postures to invigorate, and a deep relaxation to calm the nervous system, taking you into the weekend refreshed and energised. A mindful blend of yoga and pilates for those wanting a dynamic class designed to wake up the muscles, move oxygen through the body, build strength, core control and stamina all whilst focusing the mind. Open to all levels, with options given for those who wish to advance their practice. Drop in sessions are welcomed but must be booked in advance. Contact me via text or email to check if a space is avaliable and to get booked in. Owing to the bespoke nature of the studio each class has a maximum number of 6 students to allow for individual attention. Therefore, to secure your place, classes can be booked on a termly basis. Terms run for 6-8 consecutive weeks but you can join at any point providing there is a space available. You are welcome to book an initial taster class before committing to a full term. WHAT IF I CAN'T MAKE A WEEK? If you are unable to attend a week during the term I will do my absolute best to accommodate you in an alternative class at The Garden Studio. You are also welcome to drop in to my Wednesday night class at The Waterside Centre (South Norwood Lakes) to make up the session. Click HERE for more information.